Heigh Ho, Heigh Ho! It's On to Work We Go! We Are Updating our Al Hirschfeld Website! at the Gallery to help. and eBay click here right now. 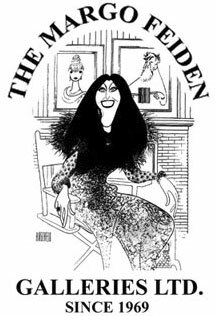 We invite you to visit us in our Mansion/Museum in the heart of Greenwich Village, where 75 years of AL HIRSCHFELD's splendid Hand-Signed Pen & Ink Drawings, Watercolors, Lithographs, Posters, Books, and Ephemera are on Exhibition and available to admire and purchase. Text + Design ©Margo Feiden Galleries Ltd.